These are not from the grocery store. Chances are good that many reading this are experiencing what I like to call winter, complete with uncomfortably cold temps and maybe some kind of white coating outside. It’s not a time for gardening for a lot of us and there probably aren’t flowers available for gathering. Solution: buy lovely bouquets and spread them around the house, right? Maybe. That would work, but after a week, at best, it’s time to toss the stems and pour out their stinky water. And then you need to buy more. I think it was Rant cofounder Michele Owens who posted once that she bought grocery store orchids for this purpose, and found that the successive blooms went for weeks longer than any cut flowers. When finished (which could take a month), she was happy to toss (i.e., compost) these plants with the same abandon she would with dead bouquets. Like me, Michele is not exactly an orchid whisperer; we’ve both tried to keep them going for rebloom indoors and have failed. My issue is the same one I have outside in many spots: dry and not enough light. But everybody can look like an orchid expert for at least a month, which isn’t bad, considering that the average grocery store Phal can cost as little as $15, which is par with many bouquets, including those crappy musty-smelling roses (which generally give out after 4 days). 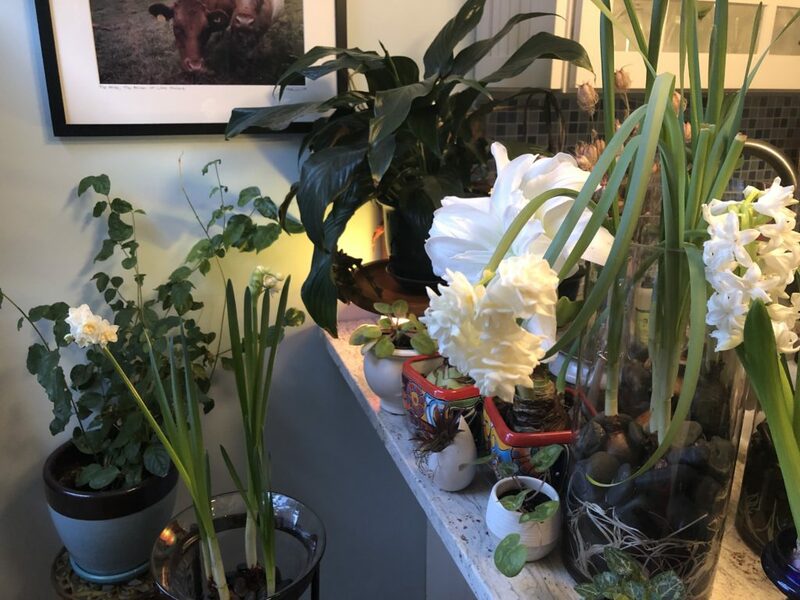 I must be honest and say I don’t really have this problem now: my house is stuffed with hippeastrum, hyacinths, tazettas, and tulips in some phase of bud or bloom (as seen above). But if I didn’t have them, I would buy an orchid for every room. Orchids just seem right for winter. Maybe I’ll still get some. Can I come smell the inside of your house? Ha! 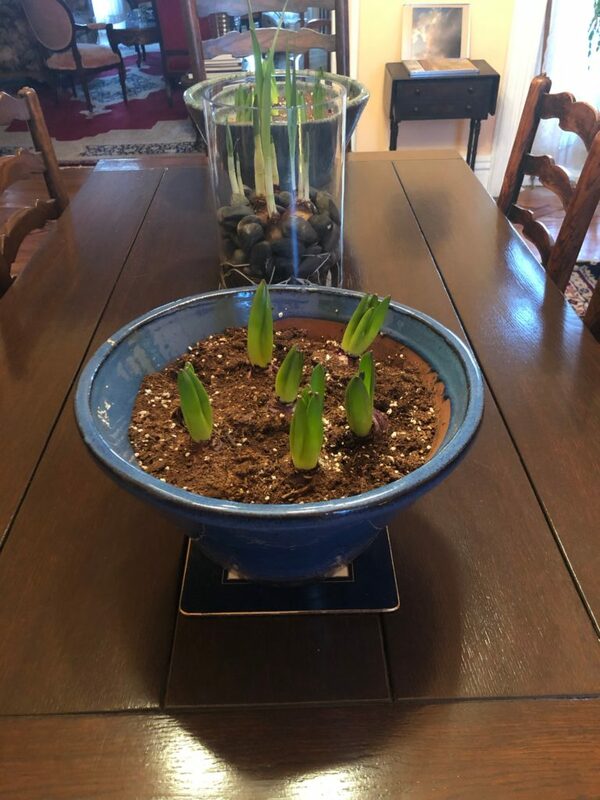 In a couple weeks; the bulk of the hyacinths (there are a maybe three dozen) have yet to appear. No bouquets of any type in our house becauof the flower destroyer – the cat. He knocks the vase over. So it stays in the kitchen sink. He drags the flowers out and about, chews them, spits them up. My Christmas cactus blooms are seen by no one as they are shut up in the spare room. But he is such a lover boy so he wins over the posies. Nice read but it is getting to be downright annoying to read a Gardenrant piece and not be able to discern Who… Wrote… It. Please fix this. Otherwise, love the blog. Agree Loretta! It is an annoying problem, and we have tried to fix it with plug-ins with disastrous results. The struggle continues. 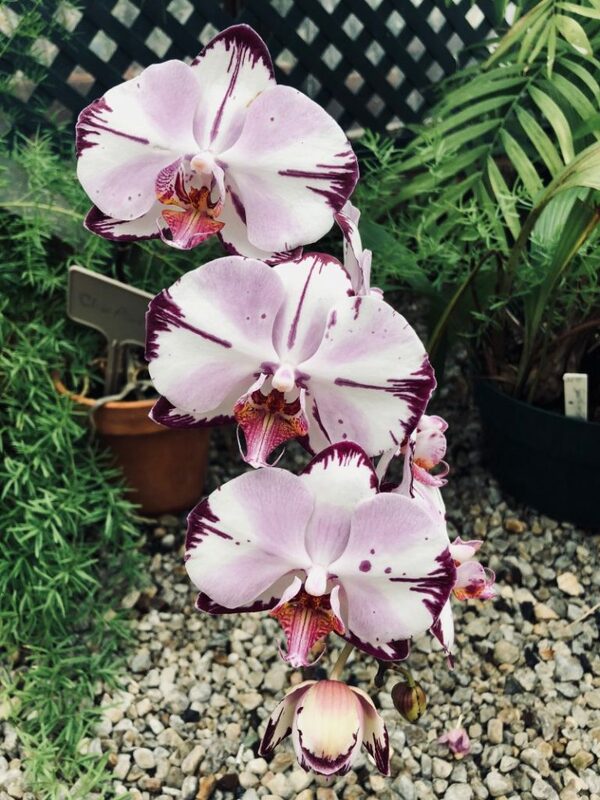 Orchids are great – but do you consider the environmental impact of purchasing them? For some reason – people are very slow to connect the dots with the environmental issues surrounding the flower industry. Not so in our gardens – we use as many natives as we can, forego chemicals, try to stay local when buying materials – but cut flowers and houseplants……..do we consider where they come from, how they were grown, how they got here……..Important to keep in mind I think. I am not suggesting that we hunker down and only use plants from our own backyards – just that what we do is done thoughtfully and consciously. Elizabeth, thanks for a fun read. Have to agree with the writer above about the missing bylines. Surely, there must be a fix? Good luck. My Winter solution is coleus. They are vari-colored, mostly quite hardy and lend themselves to easy propagation through cuttings. Here in Colorado, we have strong warm Winter sun and a couple of good windows & a slider door provide what’s needed. No fragrance but hey, we can’t have everything. I also bought a yellow, gold and green croton in December after reading your fine post about patronizing locally owned garden centers. It’s now flourishing & provides happy bright foliage. Thanks for being there for us, Ranters. I’ve actually had great success keeping orchids and getting them to rebloom and I’m in Avon,NY near Rochester. Phals are pretty accomodating and they survive 8 weeks in 55 degree house while we are in FL (a neighbor comes in to water plants while we are gone, You are right that you need a certain amount of good light to trigger bloom, but temps and even dryness haven’t been an issue for me. My orchids may not be show worthy, but they do bring some cheer at a dreary time of year. I think I’ve finally found the answer to getting grocery store orchids to rebloom, Elizabeth. I leave them outside in shade as soon as the weather warms up. When it gets cold enough to bring them indoors I start fertilizing them. I have three that have bloom stalks going up now. Of course it’s entirely possible that your warm season isn’t long enough for them though I’m not really sure. And it’s also possible that it’s just dumb luck that mine rebloom and it has nothing to do with what I do! 3 years ago suddenly for myself I decided to buy property in Greece https://tranio.com/greece/ and started to pay attention to home plants. After several months of research and decided to stop my attention on orchids. Very easy and beautiful flowers that don’t need so much care and have no smell.